The Chester Dale Collection at the National Gallery of Art comprises more than 300 works of art. 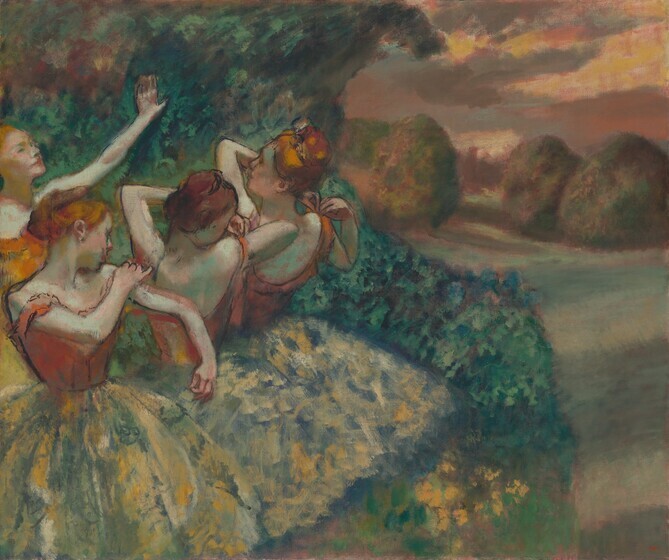 The core of the collection focuses on modern French art and includes many of the museum's most admired paintings by artists such as Degas, Monet, Renoir, and Picasso. Chester Dale (1883–1962) was a successful businessman who made his fortune on Wall Street in the bond market. He thrived on making deals and translated much of this energy and talent into acquiring great works of art. The result was one of the most celebrated collections of French art from the late 19th and early 20th centuries in America. The works of art that came to the Gallery through this single benefactor profoundly transformed the museum's holdings of French modern art. Although Chester acquired the works of art, it was his wife Maud (1876–1953), herself a trained artist and critic, who truly shaped the collection he built, offering advice and steering her husband toward works and artists she considered important. "She had the knowledge, I had the acquisitiveness," Dale often stated. The partnership was formidable. Chester initially collected American art. He would later recount that, early on, he and his wife Maud developed the "very bad and very expensive habit of attending the picture sales in New York auction rooms," purchasing a number of American paintings there. By the late 1920s, he had built a significant collection in this field, primarily of works from the late 19th and early 20th centuries, including this masterpiece by Chase, a New York–based impressionist who had studied in Europe and was a renowned teacher. Although Dale would soon turn his attention toward France, he never entirely abandoned his early love of American art. 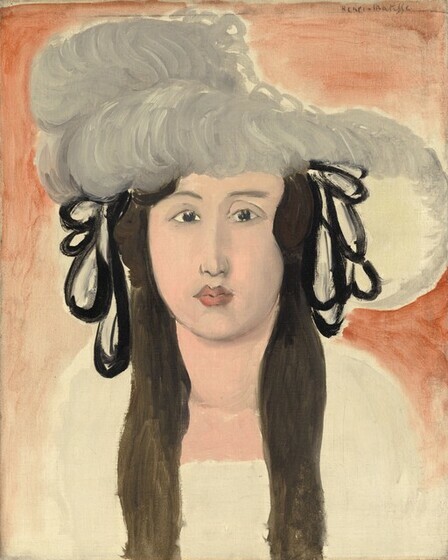 Dale purchased Henri Matisse's The Plumed Hat in 1925, the first major acquisition from a modern French artist to enter his collection. It was a daring purchase because in America at that time Matisse was considered a radical painter, outside the artistic mainstream. By the time Matisse's solo exhibitions in Paris and New York in 1931 established him as an unquestioned giant of modern art, the Dales owned ten of his works and were firmly in the ranks of the artist's most important American collectors. Maud Dale was a staunch supporter of the art of Amedeo Modigliani. She organized exhibitions featuring his work and published one of the very first monographs on the artist in 1929. The Dales eventually collected 21 of the artist's works to form what contemporaries considered to be the finest selection of his oeuvre in existence. Thirteen of these works are now in the collection of the National Gallery of Art. The years between 1925 and 1935 mark the peak of Dale's collecting. 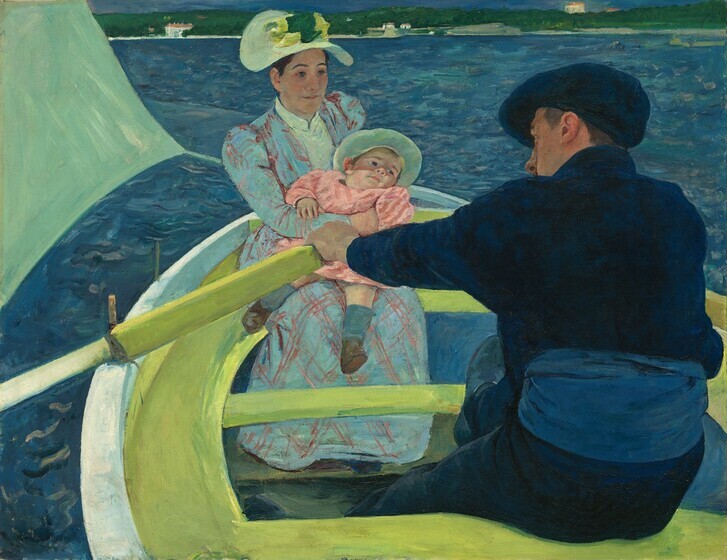 He purchased avidly both in New York, where he acquired Cassatt's striking canvas The Boating Party, and in Paris, where Chester and Maud made regular excursions. 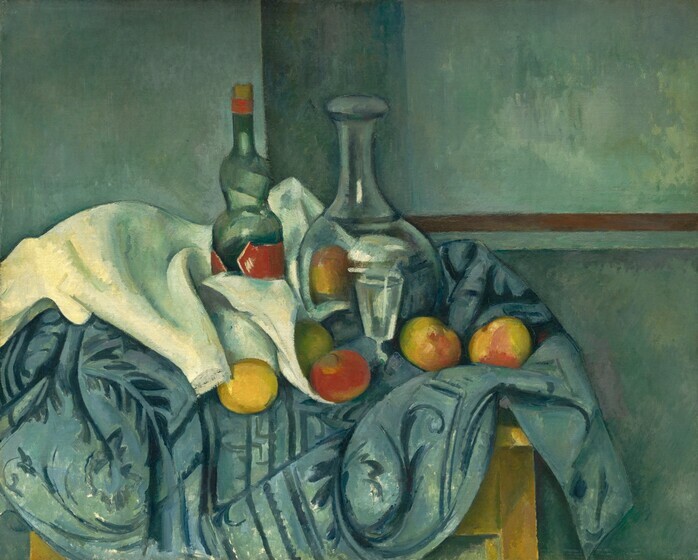 In November and December 1927, in the space of just over a month, Dale purchased three major paintings by Paul Cézanne: Landscape near Paris, a portrait of Louis Guillaume, and this spectacular still life. All three were included in an exhibition of Cézanne's paintings organized by Maud at the Wildenstein Gallery in New York the following January. This painting was particularly well known, figuring prominently in a number of exhibitions in the years that followed, most notably the inaugural exhibition at the Museum of Modern Art in 1929 where Dale was a member of the original board of trustees. 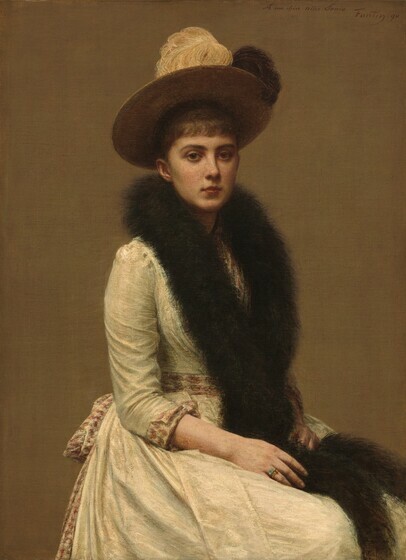 Portraiture dominates the Dale collection, largely owing to the influence of Dale's wife Maud. "Portraits," she explained, "are the documents by which not only the individual, but his epoch, can be recreated. In portraits one is permitted to view the passing show, and in the images they present of life and art we catch again the echo of their times." 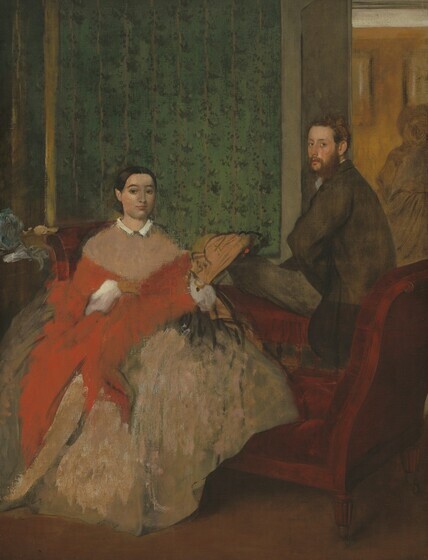 The Dales owned nine portraits by Degas, including this one of the artist's brother-in-law and sister. 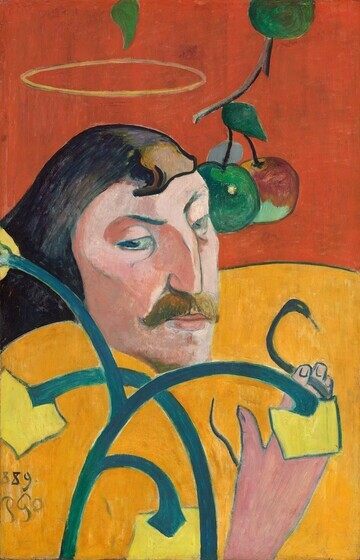 This painting was included in an exhibition of 51 modern French paintings from the Dale collection held for the benefit of the French Hospital of New York in October 1928. Organized by Maud, it was the first exhibition ever devoted exclusively to their collection. 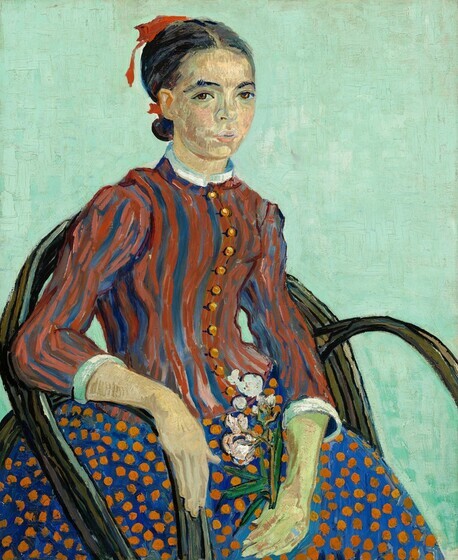 "The Dale collection of modern French paintings now numbers more than 300 canvases and has been ranked one of the most representative collections of the period in America," a contemporary author noted. Claude Monet was indisputably Dale's favorite landscape painter. Dale owned 11 paintings by the artist—all of them landscapes with the exception of a single still life. 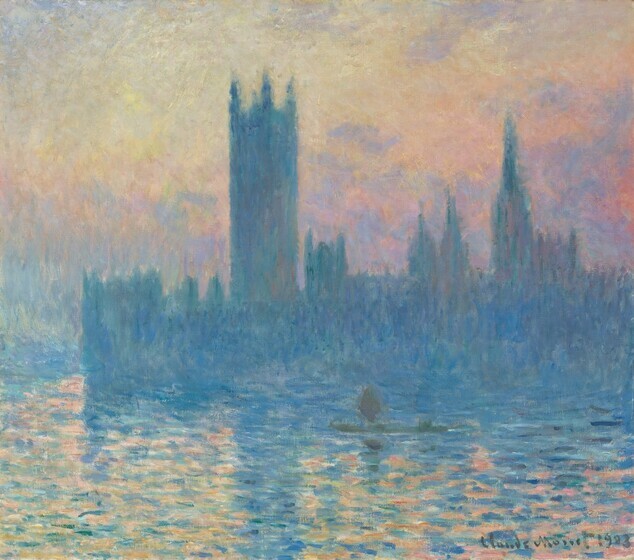 His acquisition of Claude Monet's Houses of Parliament, Sunset made headlines for the price he paid at auction in 1929, just one of many high-profile acquisitions to join his collection. 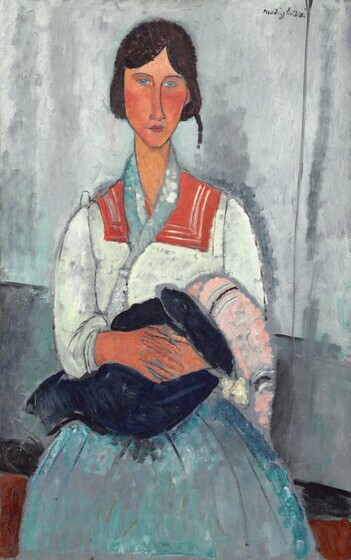 Mother and Child is one of seven works Dale purchased in April 1930 from the estate of Louisine Havemeyer, who was renowned as one of the first great collectors of French modern art in America. Although many works were bequeathed to the Metropolitan Museum of Art or passed down to family members, a select group was sold at auction. Dale drew considerable public notice for his Havemeyer acquisitions, in part because of their high prices. In the wake of the stock market crash of October 1929, many collectors curtailed their activities. Dale, however, remained undaunted, continuing to acquire significant works of art in the years that followed. Between May 15 and June 5, 1930, he purchased nine paintings from the famed Parisian art dealer Paul Rosenberg, including this one, a rare example of cubism in the Dale collection. 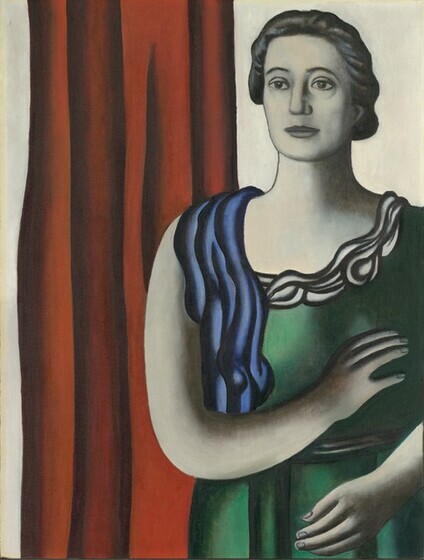 According to his unpublished memoirs, Dale first saw this painting in Paris in 1927 or 1928. "It was a magnificent picture," Dale recalled, "and Mrs. Dale was wildly enthusiastic about it, as was I. I had no more thought of buying it than I did of buying the Palace of Versailles." In May 1930, he finally decided to acquire the work. After prolonged negotiations and a near calamitous oceanic crossing—the freighter carrying the painting collided with another vessel on the Atlantic and nearly sank—The Old Musician arrived safely in New York. 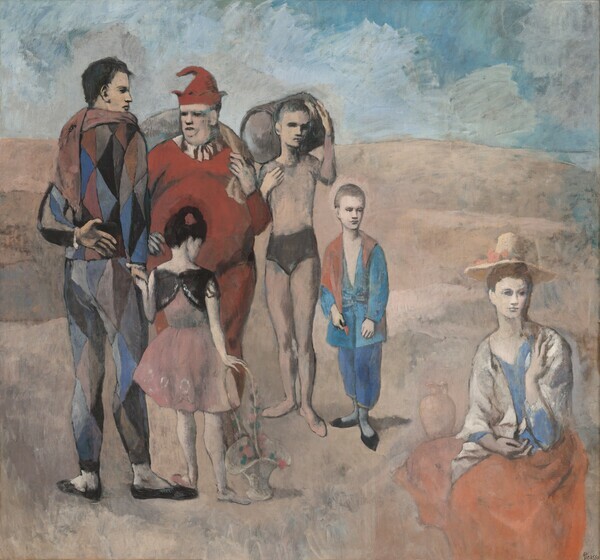 Family of Saltimbanques is one of Picasso's largest and most ambitious compositions. In his memoirs, Dale recounted that the painting had been locked away in a Swiss bank and that he had purchased it, sight unseen, based solely on a photograph and the strength of the recommendation from a dealer. It was an extraordinary gamble, but the risk paid off, allowing Dale to buy the work for a staggeringly low sum. 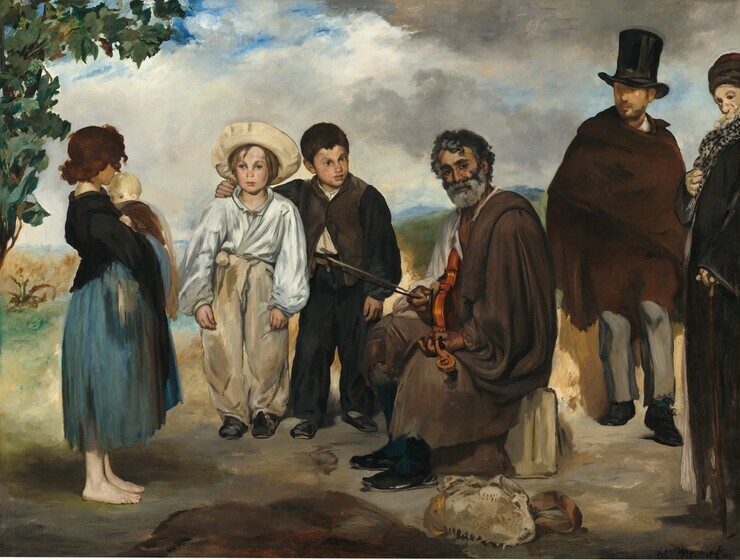 Acquired just nine months after Manet's The Old Musician, a work of similar scale, theme, and composition, this painting quickly became one of the undisputed treasures of the collection. This portrait of the artist's niece, Sonia Yanovski, once belonged to another famous collector, Duncan Phillips. 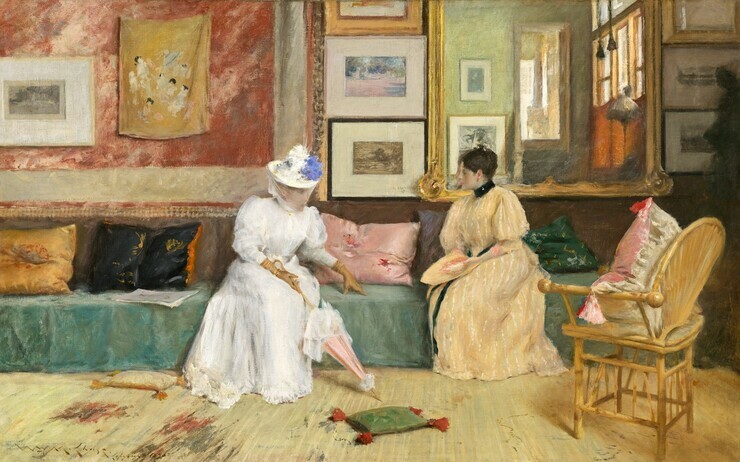 Although it is uncertain if the Dales ever visited the Phillips Collection in Washington, where the painting was on view, it was nevertheless a work they knew well: Maud included it in a retrospective exhibition she organized at the Museum of French Art in New York in 1932, the first ever devoted to Fantin-Latour's work in the United States. Four years later, the painting was in the Dale collection. Dale first encountered this painting from Picasso's early, "blue" period in the collection of his friend Josef Stransky. Formerly a conductor of the New York Philharmonic, Stransky became an art dealer after his retirement from the podium. Dale was enamored of the canvas and repeatedly tried to buy it, but Stransky refused to sell. 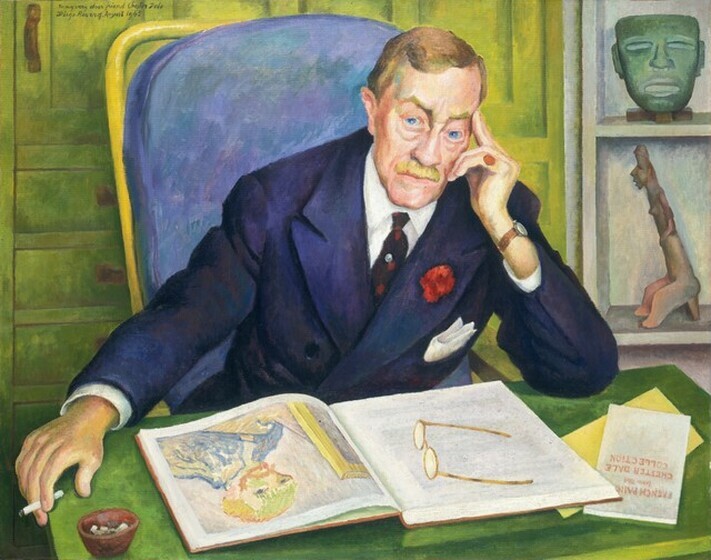 Only after Stransky's death in 1936 was Dale able to obtain the long-coveted work for his collection. 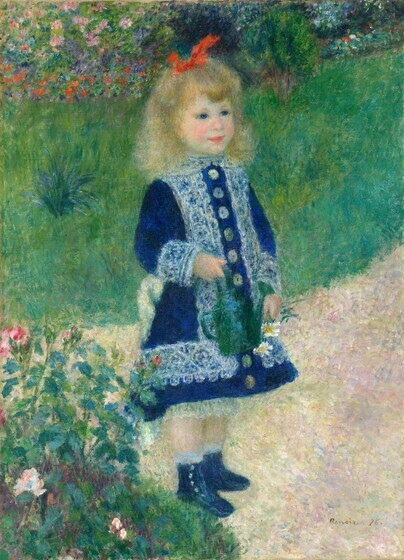 Renoir was among Dale's favorite artists. Dale ultimately acquired a dozen paintings by the artist. In November 1941, he agreed to lend 25 of his 19th-century French paintings to the recently opened National Gallery of Art, which lacked representative works of this period. That display included many of the jewels of the Dale collection, including A Girl with a Watering Can—a work that soon became one of the most beloved in the museum. Although Dale acquired art only modestly in the 1940s and 1950s, his passion for collecting did not vanish entirely. "Today I buy only when I find a picture that I feel will improve the collection," he once remarked. 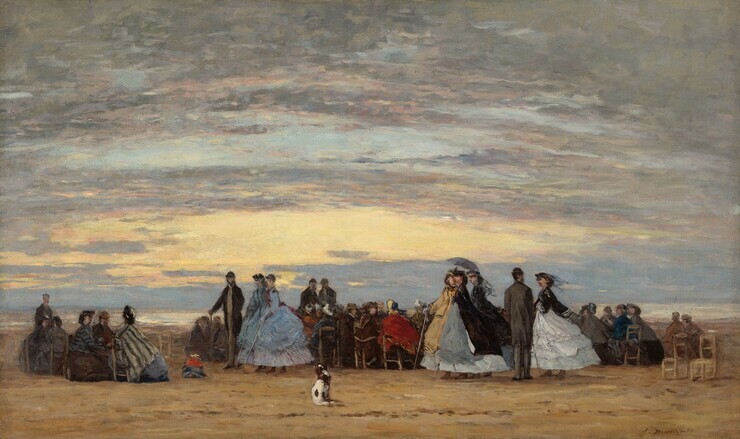 Eugène Boudin's The Beach at Villerville, purchased in 1951, is indicative of Dale's ongoing commitment to the acquisition of great works of art. In May 1925, Dale bought three works on paper by Toulouse-Lautrec. In the years that followed, he augmented the collection with 22 additional works by the artist in a variety of media, including posters and paintings. A Corner of the Moulin de la Galette was his final acquisition of the artist's work. Purchased in 1951, it was among the most expensive paintings Dale ever acquired. In November 1952, Dale placed 59 of his finest 20th-century paintings on indefinite loan at the National Gallery of Art. Among the 22 artists shown was Matisse. 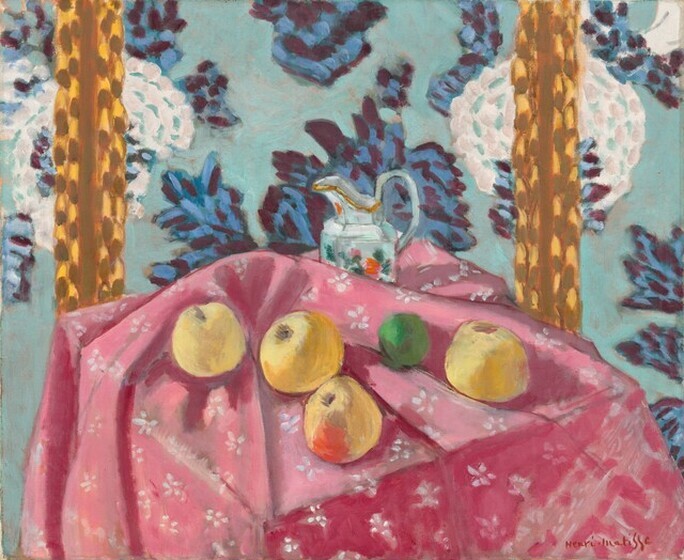 He was represented by five paintings, including this vibrant-colored still life executed when the artist lived in Nice in the south of France. 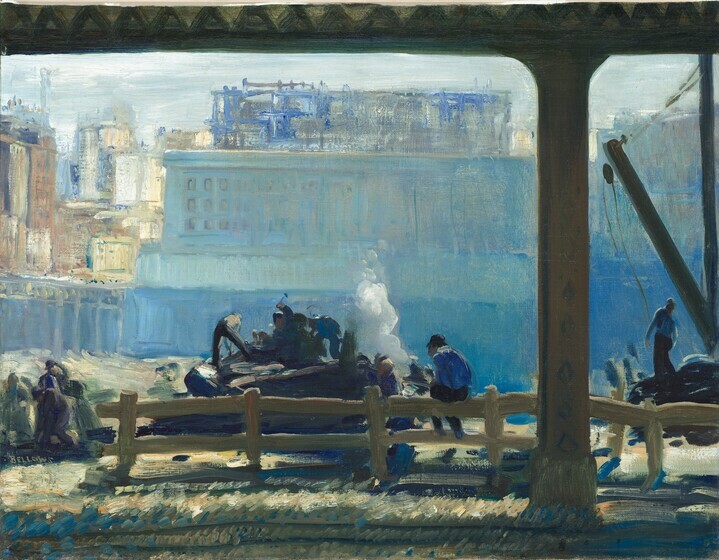 George Bellows was known for his bold and unromanticized paintings of urban life, depicting unconventional subjects such as this view of New York framed by the tracks of an elevated train. Dale deeply admired Bellows' work, describing him as "one of the greatest painters this country ever had." He acquired a number of paintings and lithographs by Bellows, including this canvas purchased from the artist's widow in 1956. 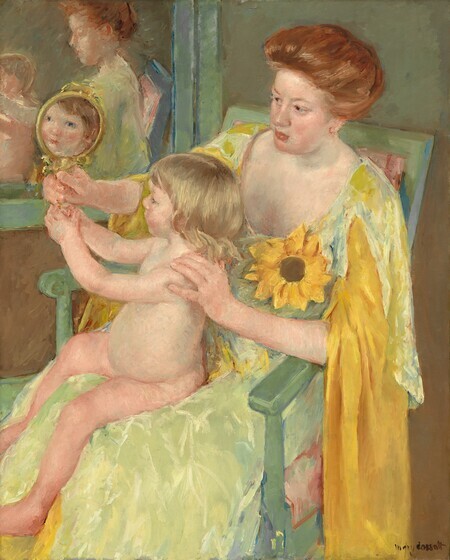 The following year, it was included in the first retrospective exhibition of Bellows' work at the National Gallery of Art. The exhibition was also the first to be devoted to a single painter at the museum. Dale, who died in 1962, bequeathed to the National Gallery of Art the core of his still-substantial collection of modern art. Comprising 228 paintings, 7 sculptures, and 23 works on paper, this gift was among the single most valuable ever given to the Gallery. As a result of Dale's generosity, the Gallery's permanent holdings of 19th-century French paintings nearly tripled in size. 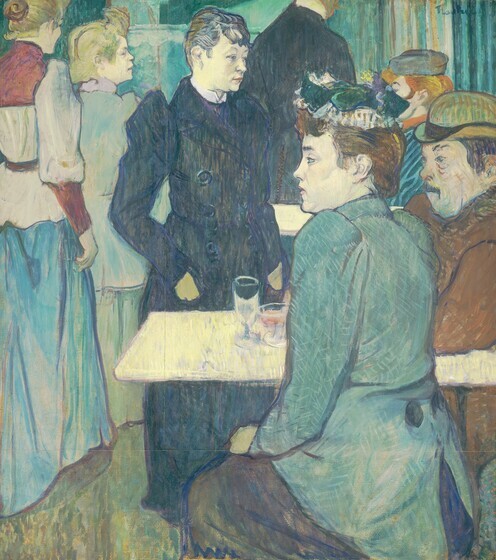 Works by Cassatt, Gauguin, Monet, Toulouse-Lautrec, and Van Gogh (Dale donated four paintings by this artist, including this celebrated picture) all entered the collection for the first time. 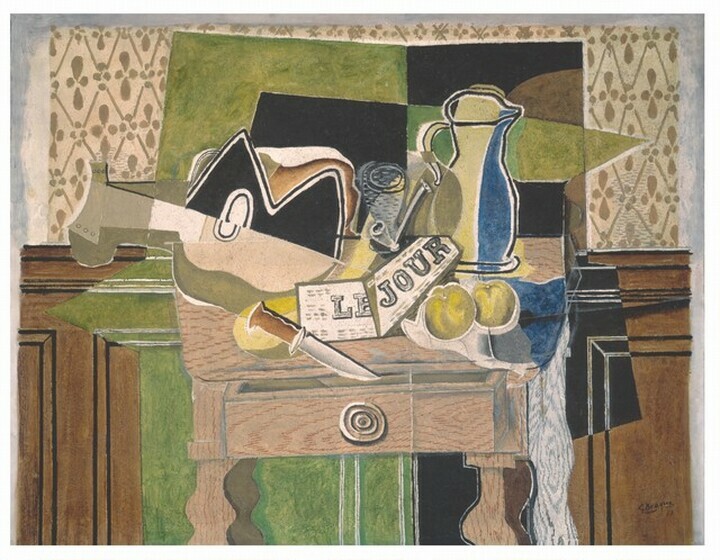 The impact of Dale's gift on the National Gallery of Art was especially profound in the area of 20th-century art: Braque, Léger, Matisse, Modigliani, and Picasso were but a few of the artists who entered the Gallery's collection for the first time. Picasso had become a particular favorite of the collector, who had purchased five of his paintings in 1930 alone. 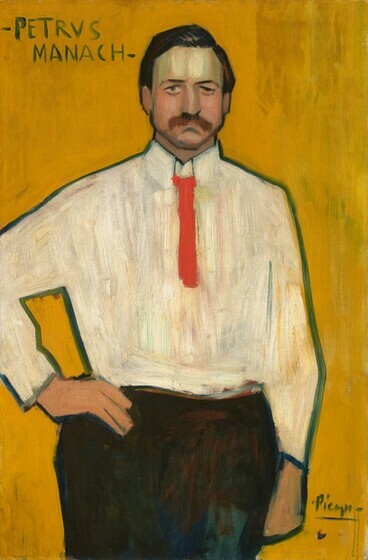 Dale gave the Gallery 11 paintings by Picasso, including this portrait of the industrialist Pedro Mañach, a friend and supporter of the aspiring young artist. 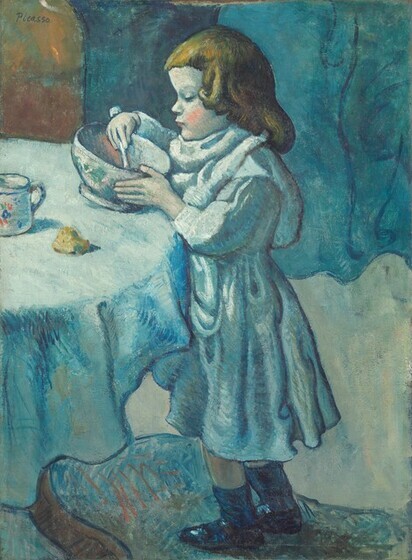 Purchased by Dale in 1954, it was the last work by Picasso he acquired.